Oh Ballast Point you wonderful, mad scientist brewery. Barmy is a delicious golden Ale, with a 12% Alc content. It’s color is bright, it’s smell oh so sweet, but beware! This beautiful concoction is highly potent and goes down oh so smooth. Unless you have some sort of crazy superstition about apricots you will probably enjoy this beer as much as I do. 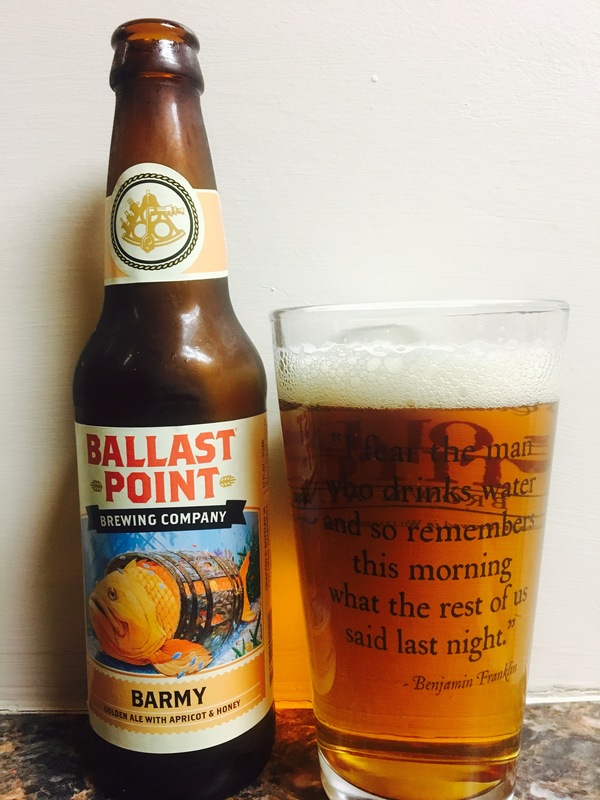 The only negative is that Ballast Point is a little more expensive than most but, if you consider the high alcohol content it levels things out. So unless you ride around in some sort of huge metal floating vehicle this beer is definitely worth trying. 4.5 stars AMAZEBALLS!